Multiple units responded to the scene of a garage fire in Greenville early Friday morning. The structure was declared a total loss. Authorities are investigating. 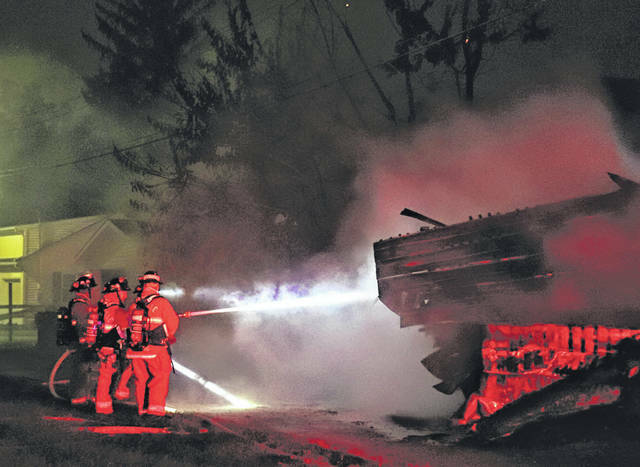 GREENVILLE — The cause of a second alarm fire in the early morning hours of Friday in Greenville is under investigation. 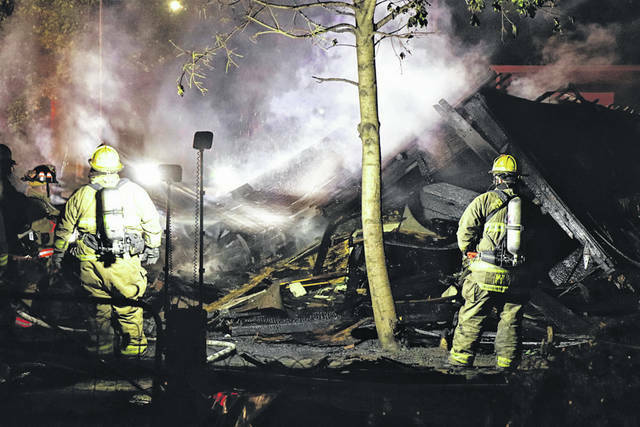 At approximately 1 a.m., first responders from Greenville City Fire Department, Greenville Township Rescue and officers from the Greenville Police Department were dispatched to the alley behind 305 Gray Avenue to a fully involved garage fire. Arriving crews found heavy smoke and fire showing from a detached garage and requested a second alarm which had engine companies from Greenville Township and New Madison Fire Departments responding to the scene. Firefighters were able to quickly contain and knock down the fire, preventing it from spreading to nearby structures. Although the garage was declared a total loss, the extent of damage to nearby vehicles and property is unknown at this time. The cause of the fire remains under investigation by the Greenville City Fire Department.